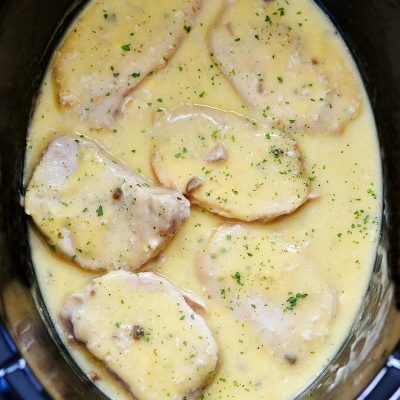 Slow Cooker Creamy Ranch Pork Chops is another slow cooker meal that is easy and delicious. 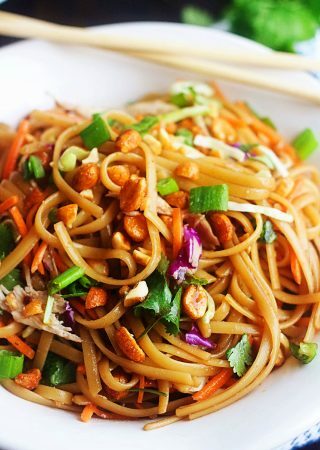 This comforting dinner recipe will have everyone asking for seconds! 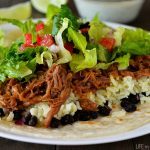 My slow cooker is by far my favorite kitchen tool. I actually have a few slow cookers because I use them so much. 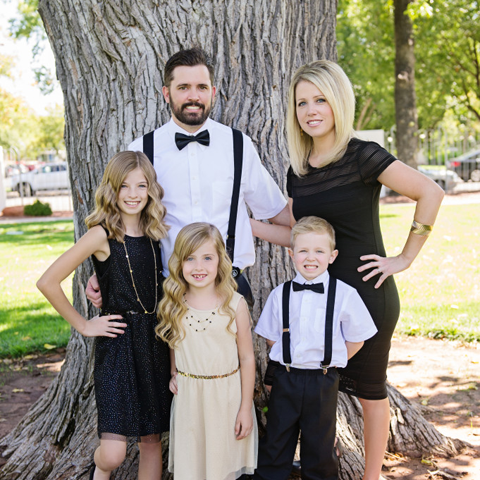 They are so convenient and nice when you want to get a head start on dinner before a busy day. 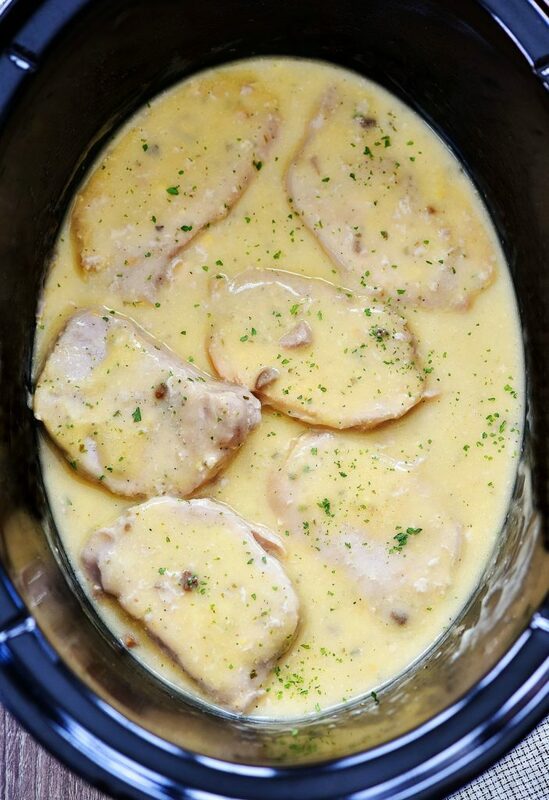 This Slow Cooker Creamy Ranch Pork Chops recipe is just that. It couldn’t be easier to make and it’s always a favorite at my house. I cook a lot of chicken to try and stay healthy, so when my family sees I’m making a pork recipe they get extra excited. haha. 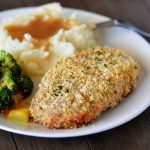 Pork is always a great alternative to chicken, but if you prefer chicken you can definitely use chicken breasts in this recipe. 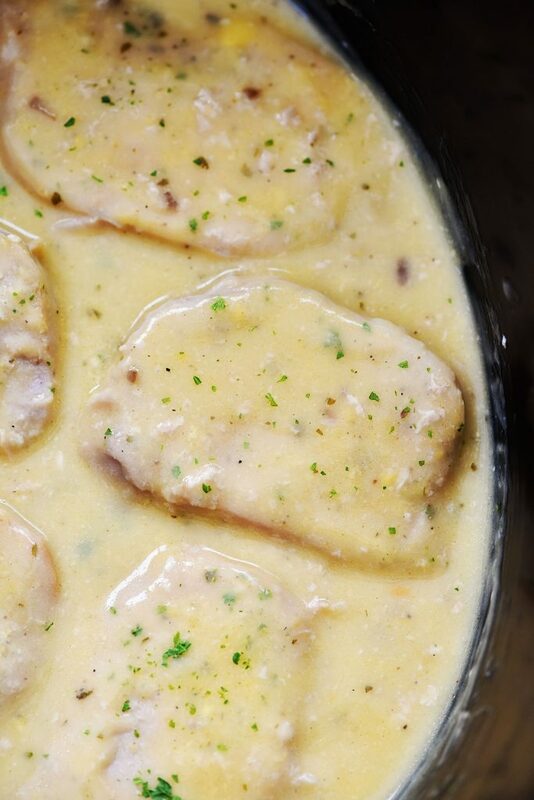 These Creamy Ranch Pork Chops are loaded with flavor from the ranch seasoning and soup. 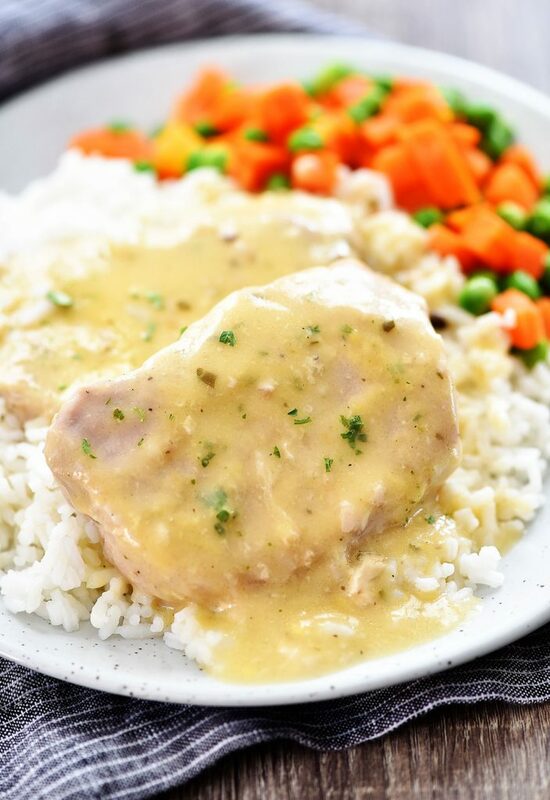 It turns into an amazing gravy as it slowly cooks and keeps the pork chops moist and delicious. 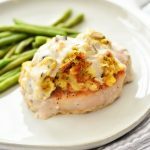 WHAT SIDE DISH COULD I SERVE WITH CREAMY RANCH PORK CHOPS? I like to serve these pork chops with a side of rice and vegetables. I use minute rice for ease and convenience and also serve them with carrots and peas. Broccoli would be another great option or even a green salad. 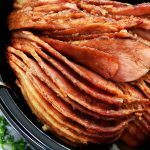 CAN I USE CHICKEN INSTEAD OF PORK? Yes! 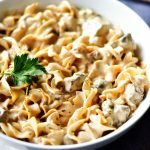 I have made this exact recipe many times with boneless, skinless chicken breasts and it turns out amazing. I always have chicken breasts on hand, so sometimes I use chicken just for the fact I have it and don’t have pork chops. I DON’T LIKE TO USE CANNED CREAM SOUPS. DO YOU HAVE AN ALTERNATIVE? Yes I do! I really love my homemade cream of chicken soup recipe. Find the recipe here: HOMEMADE CONDENSED CREAM OF CHICKEN SOUP. 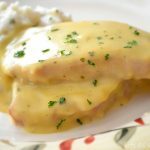 You can use this recipe to replace the cream of chicken soup and cream of mushroom soup in this pork chops recipe. Grease the insert of a slow cooker with cooking spray. Place pork chops in the slow cooker. 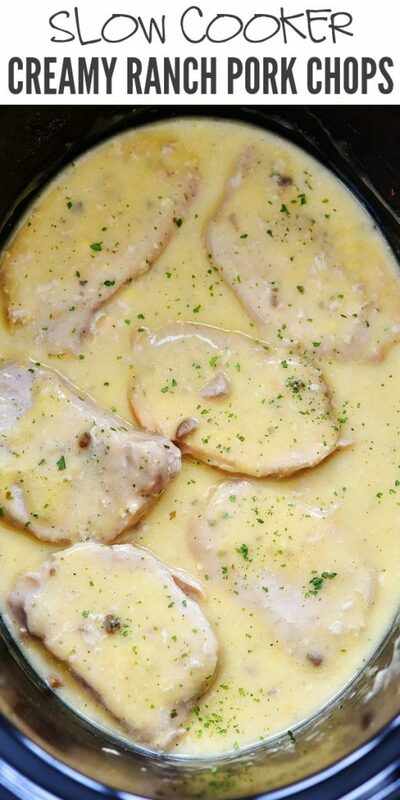 Pour the cream soups over the pork chops then sprinkle the top with ranch seasoning mix. Cover with lid and cook on low heat for 6 hours OR cook on high heat for 4 hours. When ready to serve sprinkle with chopped Parsley, if desired. Enjoy! Hello! This recipe sounds amazing! About how long would it take to cook in the oven? Thanks.